The 10 people settle into couches, loungers and chairs on an early summer’s night in a living room looking out onto the Mediterranean Sea a block away in the northern-Israel town of Nahariya. All are immigrants from the United States and England, in Israel from eight months to four years, ranging in age from 40’s to 70’s. Most were preceded to Israel by their grown children. The immigrants have gathered for the monthly meeting of a book club they started in March. Each household takes turns hosting the discussions. This session is special, because another English-speaking immigrant will be joining them by Skype from Jerusalem: Brooklyn, N.Y., native Yossi Klein Halevi, author of the book Like Dreamers, about the paratroopers who unified Jerusalem during the Six-Day War. Carolyn Bialow (immigrant from Cape Cod, Massachusetts): We didn’t want Jerusalem or a place like that. For us, it was like where we came from: Cape Cod. It’s [Nahariya] a five-minute walk to the water, and there’s the salty air. Hazel Michaels (London): When you’re in the north, there are so many places to visit just a half-hour’s drive from here. Ten minutes out of Nahariya, you’re in the mountains. Yesterday, we went to Pekiin [a Druse village]. We’ve been to Tzfat. Hazel: There’s Kibbutz Eilon, which has the Keshet Music School that has concerts. People from all over the world study there; it’s a half-hour from here. Have you been to the mosaic factory there? They did the mosaics for the Tunisian synagogue in Akko. Rena Haberfeld (Sacramento, California): We’ve gone to the symphony in Haifa. Steven Haberfeld (Rena’s husband): The international harp contest was held in Akko. 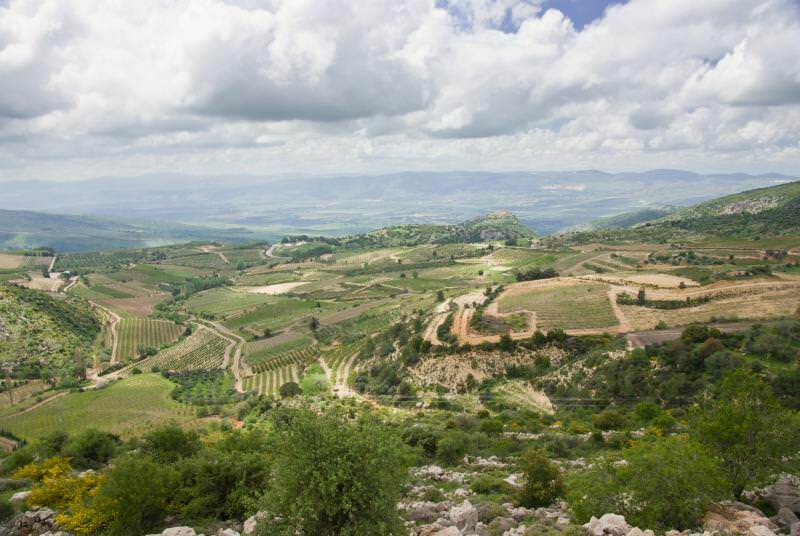 Marcia: There’s the wine festival held in July in Zichron Yaakov and all over the Galil. There are so many Jewish National Fund parks up here, with easy hikes, more intense hikes. There’s Kibbutz Yehiam’s fortress. Yoel Anouchi (Marcia’s husband): And there’s Rosh Hanikra. Steven: In summary, there are lots of things to do. Also, when you’re traveling to the center of the country, you always have a seat on the train because Nahariya is the first station. Yoel: And people who come to visit you can’t get lost: They just take the train to the end. Yoel: There are enough Anglos to make an English speaker comfortable, but not so many as to feel that you’re back in [your previous] country. I was walking down the street, and someone rolls down the car window and says [in Hebrew], “Hi, Dr. Anouchi” – just like in the hospital. Marcia: It’s Kibbutz Galuyot [the ingathering of the exiles]. All Jews are here. Rena: We wanted to be in a diverse city, as opposed to the Gush [Gush Etzion], which we also looked at. Jana Krupman (Monsey, N.Y.): It’s a sense of Mizrachi: more a culture of the Middle East. You also have Christian neighbors, Russians. There’s nightlife on the Tayelet [beachfront promenade]. During the summer, after Shabbat, it’s happening. Steven: I was back [in the United States] for Pesach, and my children [there] thought I’m on the payroll of the Nahariya chamber of commerce because I talked about how wonderful it is. Hazel: My kids living on Kibbutz Lehavot Haviva, in the center, treat this as their holiday villa. When they come and see the sea and the sand, they just love it. Steven: Don’t make this article too good, or we’ll have an overwhelming number of people here!